Alan Carlin argues that the stability of the Earth’s climate within its two fundamental modes, glacial and interglacial, is underestimated or ignored by climate modellers in their desire to talk up supposed human-caused factors. The UN IPCC reports on climate are truly unusual scientifically. Without any serious discussion or even an attempt to point out their unusual nature, they try to convince readers that the basic nature of Earth’s climate has been radically changed after millions of years, all because one very minor constituent of the atmosphere has been increasing, as it usually does during interglacial periods in response to higher temperatures. During this long period the basic nature of Earth’s climate can be characterized as bistability. In other words, Earth has had dual climate equilibria. One occurs during ice ages and the other during interglacial periods. Both are very stable except that Earth flips from the ice age equilibrium to the interglacial roughly every 100,000 years and flips back again after another 10,000 to 12,000 years. History suggests that we may be close to the next flip into an ice age, the colder of the two bistability climates. This has enormous implications for humans and all life on Earh. But the upper “limit” on interglacial temperatures does not appear to have been breached in all that time. 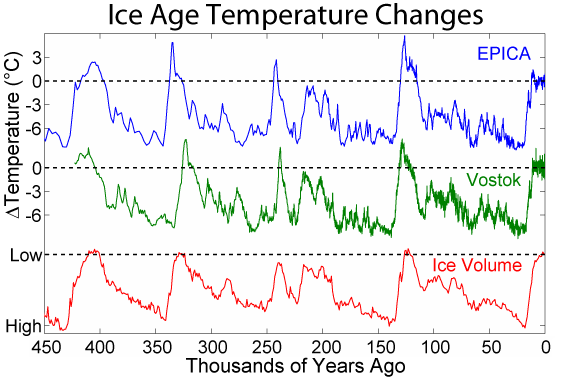 But during interglacial periods Earth’s climate is very stable despite constant changes in the many factors that influence climate. A very important question is why Earth’s climate is so stable in each of these two equilibria. One leading hypothesis is that it is due to something called emergent climate phenomena. It is these phenomena that keep Earth’s climate from warming beyond various thresholds in the interglacial case and presumably for the ice age one as well. These phenomena operate dynamically on a minute by minute basis on the basis of local conditions and cannot be reliably predicted no matter how sophisticated the climate model or how large the computer it is run on. They operate independently but overall have the effect of creating a self-governing system that keeps Earth as a whole from going outside narrow bands of the two temperature equilibria. This means that it would be extremely unusual if climate ever experienced a runaway increase in temperatures, which is the basic scare posed by the UN IPCC. Yet the UN wants you to believe that the upper limit established by the interglacial equilibrium has suddenly disappeared. Alan Carlin’s post continues here. The atmosphere will regulate to prevent a runaway rise in temps and keep a stable radiative thermal equilibrium. A simple example is a sandy beach on a hot and sunny July day. Walking across the sand will be difficult without trying to hop your way so not to burn your feet. Now, stop for a moment and put your hand just over the scorching sand and the air is cool and refreshing! This is the Adiabatic cooling process in action which assures a stable surface equilibrium. Agenda 21 and all the rest, absolutely NOTHING to do with Climate and they have even said so many times. Nothing so stupid as people that believe them on one hand when they admit it is not true on the other. put your hand just over the scorching sand and the air is cool and refreshing! This is the Adiabatic cooling process in action which assures a stable surface equilibrium. The ‘bistability’ here is questioned. The earth is a spherical object rotating about the Z axis, and the mode of rotation is dictated by the relations between Ix, Iy and Iz. The orientation of Iz varies with respect to the perpendicular to the plane of ecliptic. It undergoes a varying tilt. But. Contrary to ‘belief’ (belief, because there is evidence that shows otherwise) tilt varies beyond presently thought limits, so stability is really in question. Changing tilt changes the weather pattern drastically. Such changes have occurred repeatedly in the Holocene max, and (as found in personal research) have been recorded in prehistoric structures, and identified and dated in proxies (as and where it had been anticipated date-wise ). The drastic weather changes are well known. The interglacial is, from above mentioned evidence, somewhat unstable. Glacial less so. I argue that the belief that earth tilt is fixed to 22-24 is similar to Ptolemy’s geocentric model. A reason to revisit and recheck the foundations of some basics. Yes, definitely. System ‘hunting’, the sure sign of instability. That the period is in K yrs makes no difference. On a much reduced scale and focusing on the Holocene the instability is more irregular indicating that there are several factors at work. What I targeted in my earlier post are instances of abrupt changes, the effect of which has been registered in proxies — and more importantly in man-made structures that give a clear indication of what the changes were. 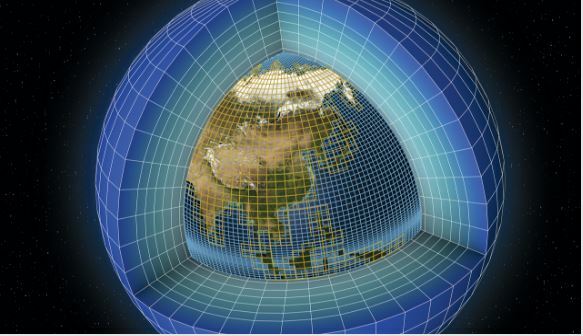 It is evidence that flies in the face of the ‘earth tilt limitation’. The link below compares Vostok with GISP in Greenland, showing parallel movement. But in equatorial Kilimanjaro they contrast; are at times opposite (agreeing with tilt change). CO2 has changed from 0.0003 to 0.0004 over the past 100 years and absorbs a very very very small % of the outgoing radiation. H2O can change from 0.001 to 0.04 in a day and absorbs a vast majority of the outgoing IR spectrum. Proxy measurements indicate that historically CO2 has been as high as 7,000ppm. During the history of this planet neither H20 nor CO2 have ever caused catastrophic global warming. Ok, what would you expect of them?